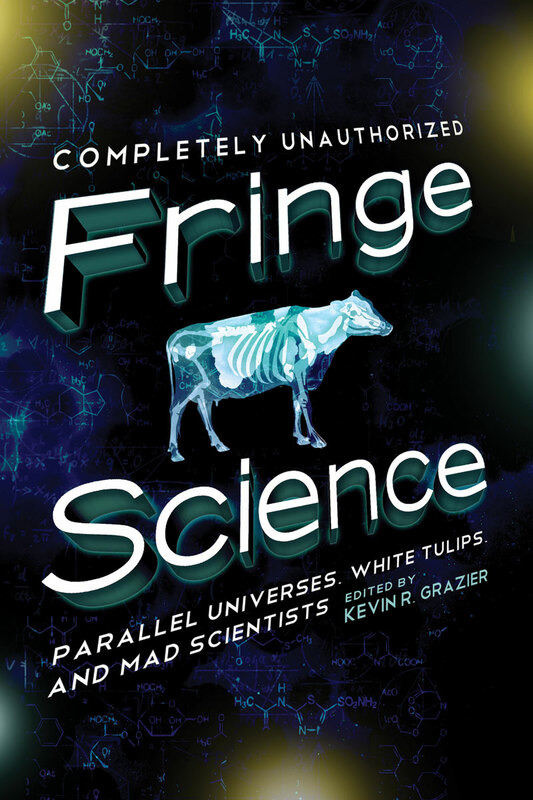 Edited by Kevin R. Grazier, Ph.D.
More than 7 million viewers are captivated weekly by Fringe, a science fiction procedural in the best tradition of The X-Files with a taut central mythology, rich characters, and it’s own laboratory cow. In its weekly cases and its overarching plot, Fringe strikes a compelling balance between the strange and the familiar, and the quirky and the tragic. Fringe Science delves into the science, science fiction, and pseudoscience of Fringe with a collection of essays by science and science fiction writers on everything from alternate universes to time travel to genetically targeted toxins, as well as discussions on the show’s moral philosophy and the consequences of playing God.